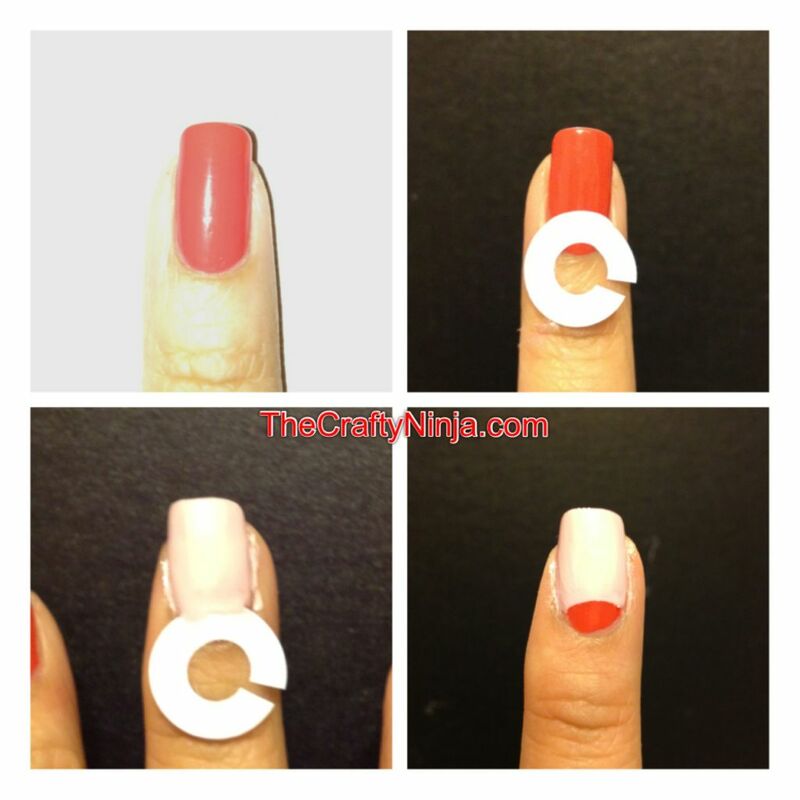 This is a simple way to create half moon manicures and pedicures using Avery Reinforcer Labels. For my pedicure I used Essie Eternal Optimist and Essie Chinchilly. I love pinks and greys together because they make a lovely color combination. First I painted a clear base coat, then painted Essie Eternal Optimist on all my toenails except for my big toe, which I painted Essie Chinchilly. Then I let my nail polish complete dry before adding the notebook paper punch sticker to my big toe nail, be sure to press down to stick or the nail polish will seep through. Sorry all this toe talk is kind of gross. Then paint over the entire nail with Essie Eternal Optimist and carefully peeled off the sticker. Let dry and apply a clear top coat. For my manicure I used the same technique as above. The Essie nail polishes I used are Essie Chubby Cheeks for the base and Essie Fiji to paint over the nail. This time when I put the Avery Reinforcer Labels on I cut a slit on one side so that is curves to my finger and sticks better. Again be sure your nail polish is completely dry or it will chip.